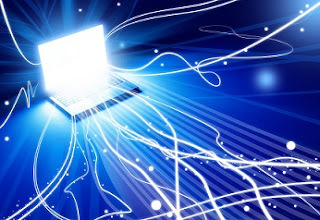 The National Broadband Plan set 2018 as the year Nigeria finally achieves 30 percent penetration, but six months into the year, the country has only achieved 22% leaving 8 percent unaccounted for. Should Nigeria fail to hit the mark before 2018 runs out, segments that depend on broadband penetration to survive and scale, such as mobile money, are likely to stall thereby putting financial inclusion targets in jeopardy. The Central Bank of Nigeria has set a target of meeting 80 percent financial inclusion by 2020. Speaking at a conference recently, Umar Danbatta, executive vice chairman (EVC) of the Nigerian Communication Commission (NCC) confirmed that penetration stood at 22 percent in March, 2018, largely driven by wireless broadband. It should be noted that penetration grew to 21 percent by the end of 2017 from 14 percent in 2016. Effectively, the country’s broadband has only grown by 1 percent in the last six months, leaving 8 percent unachieved. The quest by government, organisations and institutions to financial include millions of Nigerians may likely depend largely on mobile money technology. This is as a result of increasing mobile penetration. According to Jumia’s Mobile Report, Nigeria remains Africa’s largest mobile market, with about 162 million subscribers and a penetration rate of 84 percent. Mobile money which refers to payment services operated under financial regulation and performed from a mobile device has five primary models. These include mobile wallets, card-based payments, carrier billing (premium SMS or direct carrier billing), contactless payments, and direct transfers between payer and payee bank accounts in near real-time. With the exception of carrier billing, all the models will require customer’s internet to be fully efficient. For carrier billing, the consumer only need to provide a PIN and One-Time-Password (OTP) through SMS. It is also known as USSD transactional payments. Presently, Nigeria has 21 mobile money operators and the CBN is already threatening to reduce that number to less than 10, if the operators fail to meet a N2 billion recapitalisation target by July 1. Should that happen – and with the broadband penetration yet to reach 30 percent by the end of 2018 – efforts to get unbanked population banked using mobile money technology will achieve little results. To be sure, the CBN’s target of 80 percent depends largely on rolling out 500,000 mobile money agents under an initiative known as the Shared Agent Network Expansion Facilities (SANEF). Earlier in the year, the NCC issued two additional licences to Infrastructure Companies (InfraCos) in order to deepen broadband penetration. That brought the number of InfraCos with licences to four. The commission also mandated the companies to rollout within a year or risk losing their licence. However, the problems bedevilling the space will not be solved by issuing orders. During a press briefing the EVC of NCC acknowledged that delay in signing the subsidy agreement with the government is the reason licensed InfraCos are unable to rollout. Unless the government plans signing the agreement in the next three months, the InfraCos are bound to miss the NCC one year target and thereby make achieving the remaining 8 percent in the 30 percent broadband target unlikely. The NCC will also have to find a solution to the Right of Way (RoW) charges that agents of states and local governments insist on collecting. One report put the RoW charge at N600 billion that InfraCos are expected to pay to the 36 states in Nigeria. Some states charge as high as N25,000 per meter of fiber as against N145 as recommended by the National Economic Council. The existing fibre in the country comes to about 38,000 kilometres of fibre while Nigeria needs 120,000 kilometres to achieve a nationwide spread of broadband. A threat of licence withdrawal is definitely not in the country’s best interest.